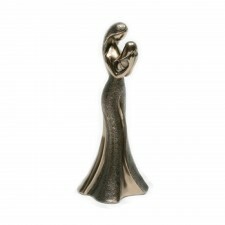 Styled in a modern contemporary finish, this bronze figurine features a couple with their baby lovingly cradled. 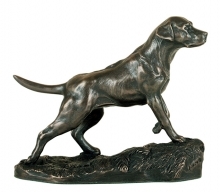 Made from solid cold cast bronze with hand finished detail and fully felted on the bottom to protect surfaces. Dimensions: H: 9.5" W: 3.5"
Ideal gift for anyone welcoming a new baby into the family. 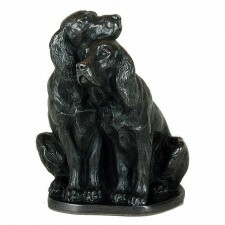 Producing high-quality giftware for over 30 years.